Improving employee engagement has been linked to a number of strategic benefits, and has been prioritized by organizations that value creativity, productivity and growth. Engaged employees are enthusiastic, focused, productive and willing to put additional effort into projects because they understand their role in propelling an organization’s success to new heights. 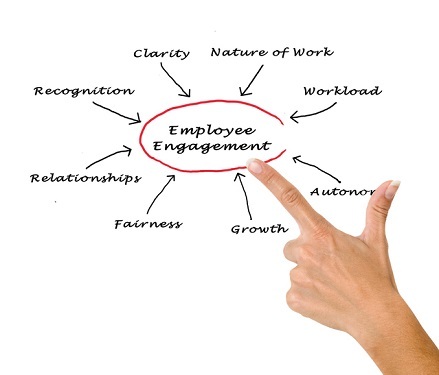 Improving employee engagement need not be a guessing game – there are various, tangible steps that an organization may take to drive employee’s level of commitment and involvement in the organization. By focusing on five simple ways to drive employee engagement, you’ll be well on your way to inspiring your employees to do their best work. Employees thrive in workplaces that value fairness and equal opportunity. A diverse workplace, in which employees are encouraged to share their own individual experiences and strengths, may assist in driving employee engagement. In contrast, different treatment (whether perceived or actual) may cause employee resentment and affect team productivity. In addition, female managers’ teams are more engaged – by about six percentage points on average. Conversely, male employees on male manager’s teams tend to be the least engaged. The gap in engagement may be attributable to job choice between genders: professional jobs tend to have higher engagement levels. Recognition drives engagement. Praising a job well done energizes employees, and tends to focus their efforts on behaviors that result in better professional – as well as business – outcomes. Chances are all workplaces have some type of employee recognition in place: an employer should focus on strengthening these programs by ensuring that they are aligned with corporate goals, policies and values. Each employee’s hard work should be acknowledged, and best workplace practices should be shared with the community. A recognition program need not be formal to be effective. Many informal methods of recognition, such as spot-cash prizes awarded by a supervisor at his or her discretion, can foster a positive relationship between supervisors and direct reports. Actively disengaged employees are mentally and emotionally “checked out,” which affects their productivity. In addition, these employees may be actively seeking employment elsewhere. Patterns of disengagement may be found in available metrics. 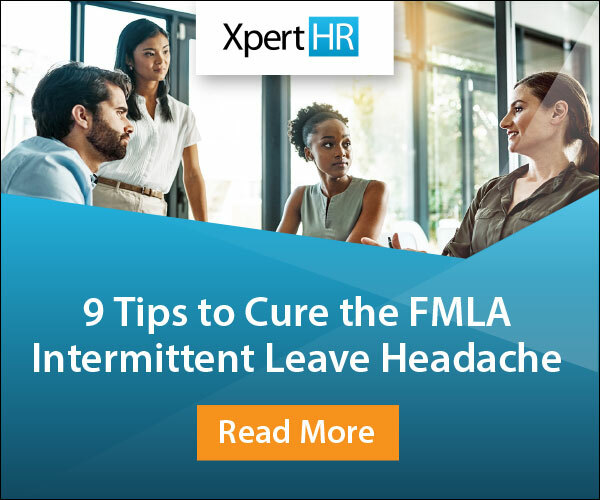 For example, HR may analyze data regarding absenteeism, turnover rates and productivity in order to assess whether there may be an employee engagement issue in the workplace. In addition, a company’s profit margin may be predictive of employee engagement levels. Employees need to know that they are well supported when fulfilling their job responsibilities. Supervisors are key to ensuring that employees receive the necessary support. Employee turnover has often been linked to a less-than-fulfilling relationship with a supervisor, in which an employee feels undervalued, and lacks the requisite information to perform well. Discipline when necessary in a fair and consistent manner, in order to emphasize desired workplace behaviors, performance and conduct. Because only roughly a third of the US workforce is engaged, organizations must be consistent in their focus on improving employee engagement. Whether your workforce is more or less engaged than the average, focusing on continual improvement of employee engagement drives business gains and performance. In practical terms, employee engagement is not something that can be a business priority for just one quarter. Instead, a commitment to employee engagement needs to be an ongoing priority for employers in order to develop individual, as well as business, performance. The organization’s culture, through initiatives that work toward consistent, well-defined goals, must support the success of every employee in order to reap the possible (and attainable) business rewards. These are just five ways that we’ve identified to drive engagement. Do you implement other strategies in your organization? Let us know by leaving a comment below.